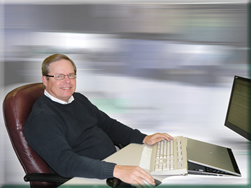 Reid is an Accounting graduate with 36 years of Sales & Marketing experience. He found his way to propane in 1981 with Northern Propane Company in its Supply and Distribution Division. He took the family and moved to Tulsa when Enron Corp. decided propane was not in its future and sold the company to Buckeye Gas Products. After three years in Tulsa, and just before Ferrell purchased Buckeye, Reid moved the family north to work in Sales & Marketing Management domestically and internationally. In 2004, he got the propane fever again and joined Propane Resources to work with propane retailers throughout the country.